This paper deals with the image-based control of a satellite for remote sensing. Approach is demonstrated by simulation where the position of the satellite is obtained with the Simplified General Perturbations Version 3 model and its orientation by simulating its dynamic and kinematic models. For a known position and orientation of the satellite the images are obtained using the satellite’s onboard camera, simulated by the Google Earth application. The orientation of the satellite is governed by reaction wheels, which produce the required moments to the satellite. The image-based control law using SIFT image features is applied to achieve an automatic reference-point observation on the Earth’s surface. 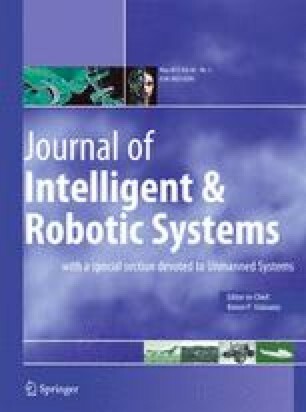 Main contributions of the paper are the following: use of the same sensor for Earth observation and attitude control, simplicity of the approach, no need for explicit calibration of camera parameters and good tracking accuracy. Demonstrated simulation results and performance analysis confirm the approach applicability.